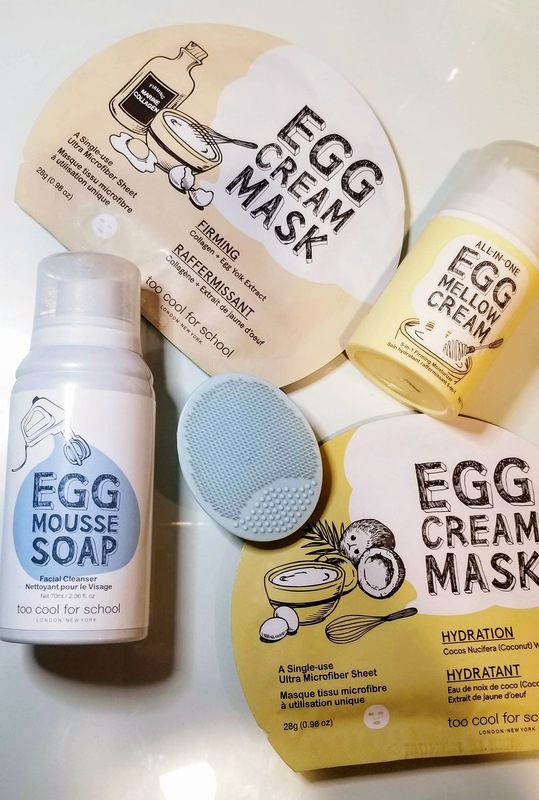 I want to chat about a new skin care line I’ve been using called “Too Cool For School.” I got this set as a gift for Christmas and I’ve been using it for over a month because I wanted to do a true “First Impressions” post. This product is definitely a yes in my book. The packaging is super cute and modern. The Egg Mousse Soap has a shaving cream texture which I love because I don’t waste any product. My favorite thing from this set is this Pore Cleanser Brush! I love using the brush at night, it helps remove my makeup completely and leaves my skin clean and fresh. The brush helps me tell that all my makeup has actually come off. I just wait until the water on the bristles runs clear, and I can’t really do that with just my hands. The Egg Mellow Cream smells so good and is packed with benefits. The cream is a serum, primer, moisturizer, neck cream, eye cream, and sleeping mask. I also love their masks, especially the hydrating mask, it left my skin feeling so fresh and plump.